Here are 2 'essential' exercises and some graphic images. The Human body is fuelled by energetic life-force currents from Source (God Source or God). The 'template' for underlying energetic structure of all life-forms including Humans is called the Kathara Grid. The Kathara grid is made up of 12 highly specific and compartmentalized 'layers' of energy called DIMENSIONS. All these dimensions or compartments of energy are moving at different angles compared to each other. Each and every dimensional level has a DNA strand, an axiatonal line and a merkaba field that corresponds to it. The 12 dimensions are divided into four DENSITIES, containing sets of three dimensions which are separated from each other by a membrane-like structure called a Hova Body. This membrane is a complex structure and plays a key role in formation of the illusion of a 3-dimensional reality field or HOLOGRAM. When the Kathara grids are functioning normally, Humans are able to direct life-force currents through each of these density levels at will to 'experience reality' in all of the densities. At present however, Humans are unable to do this due to the distortions in our Kathara grid, which have resulted in a blockage of energy flow through the Hova bodies, densities and dimensions. The free flow of life-force currents between the dimensional and density levels of any manifest form is the basis of the process called biological ascension. The life-force currents associated with dimensions 1-9 are collectively called the Kundalini currents and these currents contain three densities which are in turn associated with three shields (mathematical templates for the densities) and three Hova bodies. These are named the Telluric Shield and Nada Hova body (for density 1 and dimensions 1-3), the Doradic Shield and the Alphi Hova body (for density 2 and dimensions 4-6) and the Teuric Shield and Betcha Hova Body (for density 3 and dimensions 7-9). Each of the Hova bodies and shields are separated from each other by Magnetic REPULSION ZONES. The combined energy currents associated with each density and shield level are called the Telluric, Doradic and Teuric currents. In the process of conception and birth of a new Human life, consciousness held within the three Kundalini currents (telluric, doradic and teuric) spirals into the first EIGHT CELLS of the Human fetus at the region of the tailbone to initiate the "fetal INTEGRATION process". The first Kundalini Current, the Telluric current, corresponding to the Nada Hova Body, is active within the human form at birth, enabling 3-dimensional awareness or consciousness to embody within the Human organism. When the Doradic and Teuric Kundilini currents in the tailbone, are activated, the frequencies of consciousness from dimensions 4-9 progressively awaken within the body and subsequently lead to activation of dormant DNA strands 4-9. Activation of the Doradic and Teuric Kundalini currents is dependent on opening what are called SIGNET STAR CRYSTAL SEALS within the Kathara grid, which in turn, govern two important FREQUENCY SEALS or blockages within the tailbone and the PINEAL GLAND in the center of the brain. These two seals are called the CRANIAL-SACRAL SEALS. When the Cranial-Sacral Seals are released, through activation of the Signet Star Crystal Seals that govern them, the dormant Kundalini Currents come to life within the body, sending progressively higher-frequency energy through the CENTRAL VERTICAL CURRENT of the body. Activation of the 3 Kundalini currents allows for progressively increasing amounts of Kundilini frequencies and the consciousness inherent in them to be integrated into the body. When ALL of the frequencies within the 3 embodied Kundalini Currents are activated, the 4th Kundilini current called the PRIMAL TRIADIC CURRENT is activated. This current is also called the THREE PRIMAL CREATION FREQUENCIES or the 'KEE-Ra-ShA'. Activation of the 'Kee-Ra-ShA' in turn, results in anchoring of the 12th Dimensional HYDROPLASMIC BEAM within the body. This initiates the process of CELLULAR TRANSMUTATION and intentional de-manifestation and Dimensional Ascension of the human biological form. In addition to releasing the signet star crystal seals, activation of the 'Kee-Ra-ShA' current requires and is initiated by activation of what are called DNA Fire Codes that are key molecules stationed between the 12 DNA strands. There is ONE Fire Code corresponding to each DNA strand and when activated, they facilitate DNA strand braiding, thereby connecting the Universal life currents within the template structure of the DNA strands. When Universal Life force currents are flowing freely between the densities and dimensions through fully operational DNA Fire Codes and activated star crystal seals, the density one carbon-based biology can progressively and systematically transmute to a SILICA- based biological form. Transmutation to Silica-based biology allows the physical body to pass through the levels of Semi-etheric, Etheric and Pre-matter Hydroplasmic Liquid-Silica Densities of Harmonics 2-4 (Dimensions 4-12). Transmutational Dimensional Ascension represents the function of the organic genetic design and evolutionary objective of the Human creation blueprint, through which the natural Eternal Christos-Angelic Form of the Human Being is actualized. In the evolutionary cycles of contemporary humanity, actualization of the 12-Strand DNA potential takes place slowly in Earthly terms, as the incarnate identity experiences several cycles of Density-1 incarnation, spanning many thousands of years, in order to progressively activate the DNA Fire Codes within the DNA Template. When the Human genome was operating in its natural organic form, this process took place in only one lifetime. The process of activation of the Fire Codes and thus the four densities levels of the Shields was normally complete by the age of 44, at which time the incarnate's consciousness was then able to actualize its organic Angelic-human heritage and mastery over the four densities of manifestation within the Time Matrix. The EMERALD AWAKENING Masters Kundalini Activation releases the Density-2 4th Dimensional GREEN Signet Star Crystal Seal and the Density-1 1st Dimensional RED Signet Star Crystal Seal, opening up a connection between the Density-1 NADA HOVA BODY and TELLURIC SHIELD, and the Density-2 ALPHI HOVA BODY and DORADIC SHIELD. This then allows the Telluric and Doradic shields to receive 12th dimensional Omni-polar frequencies from the density-4 Maharic shield. This in turn triggers simultaneous activation of the Base Tones (magnetic component) within the 12 Fire Codes of the entire DNA Template, preparing the DNA template to the receive the over tone (electrical component) frequencies of the KEE-Ra-ShA' during the Amethyst awakening. 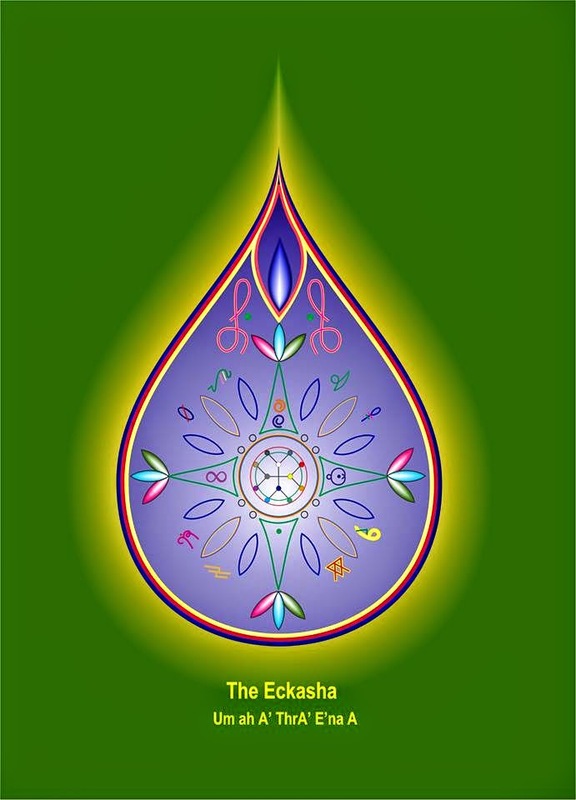 The Emerald Awakening Masters Kundalini Activation releases the Density-3 7th-Dimensional VIOLET Signet Star Crystal Seal and 8th-Dimensional GOLD Signet Star Crystal Seal opening the connection between the Doradic and the Teuric shields. 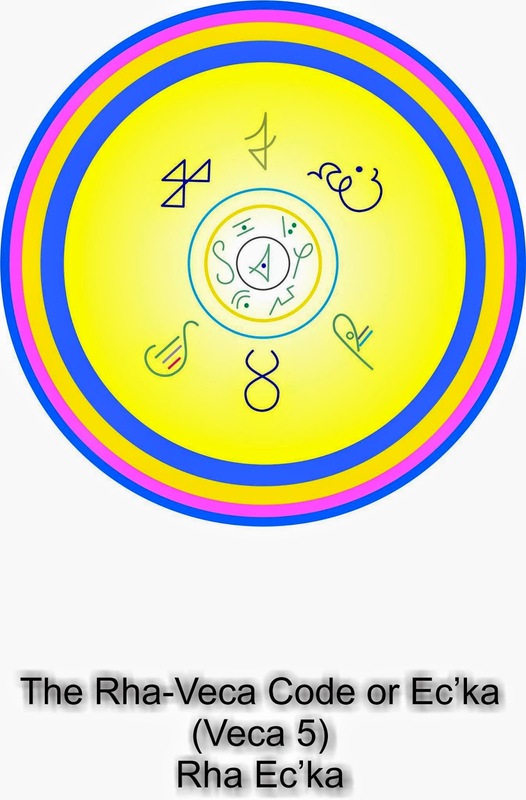 This releases the over tone (electrical component) of the signet seals, which in turn activates the over tones of the 'Kee-Ra-ShA' to fuse with the base tones, bringing the 3 OMNI-POLAR CREATION CURRENTS (Primal Creation Currents built upon a TRINITY OF TONES, BI-POLAR + NON-POLAR energy units) together as ONE PROMAL NON-POLAR CURRENT called the KHUNDARAY. This current that is also called the "Rainbow Bridge" or the "Rainbow Serpent" sets in motion simultaneous activation of the 12 base tones and 12 over tones within the Fire Codes between the 12 DNA strands, allowing fusion between DNA Strands to complete on 12 dimensions of frequency. 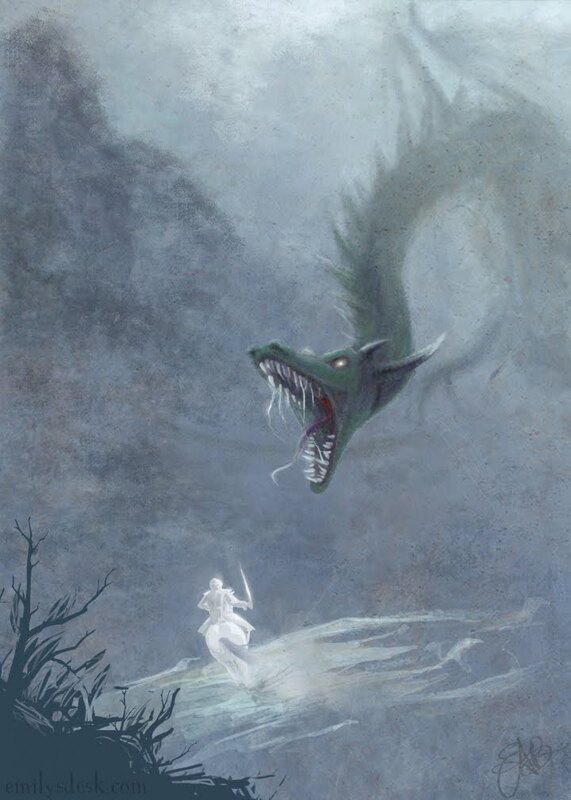 Before the Emerald & Amethyst Awakening Kundalini Activations can be effective, one must have performed the Maharic shield exercise at least once. This releases the 12th dimensional Maharic frequencies into the embodied Kathara Gird. In addition, at the initiation of the Awakening exercise the "KA" is activated. This refers to the 4 HOVA BODIES corresponding to dimensions 1 though 12. (Nada, Alphi, Betcha and Mahara Hova Bodies.). The KA becomes activated through removal of 4 "inorganic" Crystal Seal IMPLANTS that block the natural function of the 2nd, 3rd and 4th DNA Strand Templates. This technique is recorded on the Essential Newcomers Technique CD's (ENT/2CD). More understanding of this process can be gained by studying the Emerald Covenant Masters Templar Stewardship Initiative and FIELD GUIDE (SAS/M+FG), which are listed on the product list. 1. Breath slowly and deeply for several breaths while visualizing or imagining a Violet Dot on the center of the inside of your forehead. Make the color image as strong as you are able (if you can't yet perceive inner colors simply imagine the Violet Dot being there). Move the Violet Dot to the center of the brain, at the Pineal Gland, and then upward into the 7th Chakra, finally moving it out of your head to rest on the top of your skull, at the Crown Chakra. 2. Call to mind the Hierophant Symbol (Pale Silver Merkaba Star / Star of David). Visualize the Hierophant spinning 12" below your feet, within your Maharic Shield, and slowly INHALE.....drawing the Pale Silver Hierophant up through the Central Body Current, up to meet the Violet Dot at the 7th Crown Chakra at the top of the head. 3. Now, move your attention to the 4th Heart Chakra, and imagine a small Green Spherical Crystal - The Green Star - stationed at it's core. This is the Green star Crystal Seal that controls release of 4th Dimensional frequency - Phase I Doradic Current - into the body. INHALE, drawing Violet-Silver energy from the Violet-Silver Pillar into the Green Star. EXHALE, expanding the Violet-Silver energy into the Green Star sphere. Repeat two more INHALE / EXHALE breaths, drawing Violet-Silver energy from the Pillar and expanding it into the Green Star sphere. INHALE and draw Pale Silver energy from your Maharic Shield, through the central Body Current, and into the center of the Doradic Sphere at the heart Chakra... encasing the sphere in Pale Silver Light. 4. Next, move the fingertips to the tail bone... INHALE energy from the Maharic Shield into the DORADIC SPHERE. As you EXHALE, push PALE-SILVER energy down to the finger tips and into the tail bone....... REPEAT 2-3 times and then remove the fingers. 5. Now, bring your attention to the 2nd CHAKRA (SACRAL) .... feel or visualize or just know ... a DOUBLE TERMINATED QUARTZ CRYSTAL (a crystal with a point at both ends) is beginning to "push out" of the front of your 2nd Chakra, the Sacral center. 6. Focus your attention on this, try to feel the crystal pushing... use your hands to help ease it forward, and out. 7. There is a smaller double terminated crystal in the 3rd (Solar Plexus) Chakra; this will release on it's own because the currents have activated it to do so. Help it out with your fingers. 8. In the Heart Chakra, imagine a little sphere of energy, colored green. Bring this little green sphere more fully into focus... and you will notice a little black cube of energy inside it.... look more closely again, and notice a smaller white cube inside the black one. 9. As you focus on the two little cubes, watch them merge together .... feel a ripple of vibration as they do, and then ... notice a little puff of smoke as they both disappear. 2. and... on the EXHALE visualize or imagine pushing a cord of GREEN-VIOLET-SILVER Doradic Current down into the tail bone.... to the 1st Cell...... at it's very tip. and on the next EXHALE visualize, or imagine, sending a cord of GREEN-VIOLET-SILVER energy all the way down your central vertical column and into the GREEN SPHERE in the 1st Cell at the tip of the tail bone. 6. As you INHALE pull PALE SILVER LIGHT from your personal Maharic Shield, the platform-disc 12" below your feet, up into the tail bone and into the GREEN SPHERE. 7. As you do this, visualize the GREEN SPHERE 'pop' into a STARBURST of PALE GREEN-SILVER LIGHT. 9. INHALE and draw PALE SILVER energy up from the personal Maharic Shield, the platform-disc positioned 12" below your feet, up into the tail bone, and into the RED SPHERE.... inside.... the WHITE-SILVER SPHERE. The Kee Ra ShA appears as 3 little flames which exist in the 12 Chakra positioned 6" below the feet. The 3 flames are PALE BLUE, PALE YELLOW, AND PALE VIOLET. If you have difficulty visualizing, just imagine that they are there. 3. Next, return your attention to the 12th Chakra, 6" below your feet... allow yourself time to connect with the little PALE YELLOW-GOLD FLAME. Breath easy. 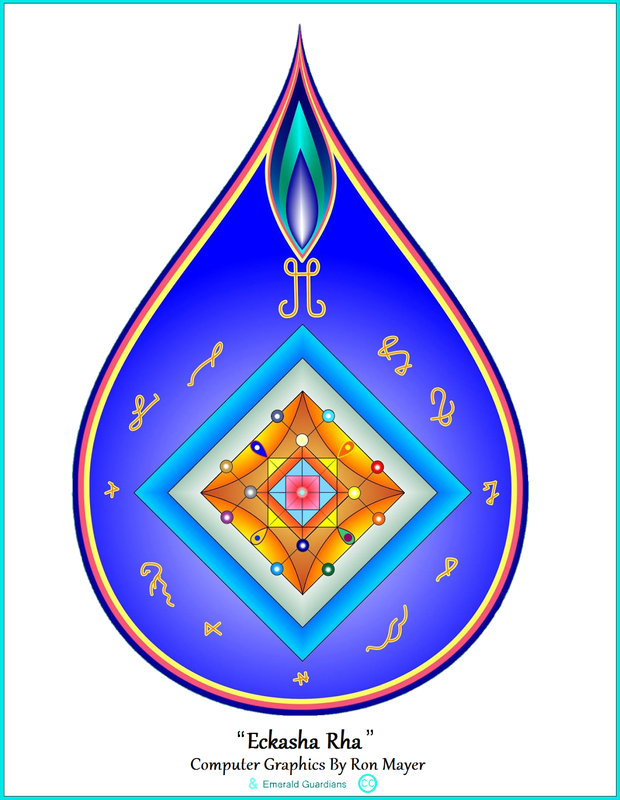 Again, return your attention to the 12th Chakra, 6" below your feet... and connect with the PALE BLUE FLAME... this FLAME is the INNER ARC of the COVENANT... Take your time; breath easy. 6. Now, visualize or imagine the 3 little FLAMES together within the 10th Chakra 6" above your Crown Chakra .......... in a moment we will create the Kee-Ra-ShA SPHERE... Breathe easy. 8. Breathe easy. 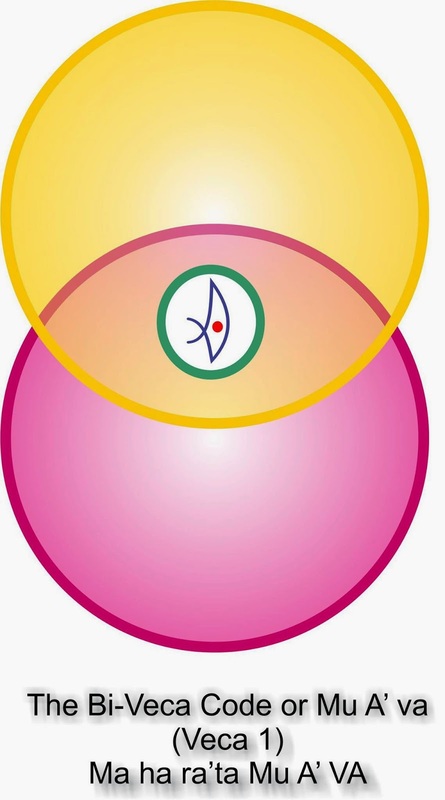 On the next EXHALE move the Kee-Ra-ShA SPHERE all the way down through the central vertical column, out through the 12th Chakra 6" below your feet, and all the way down to the 13th Chakra at EARTH'S CORE. These TONES represent the AMENTI "PASS KEY" ... which opens your personal GRU-AL POINT (#1) - the 1stCell in the Tail Bone... releasing the KEE -Ra-ShA FLAMES into your AURIC FIELD. This completes the EMERALD AWAKENING, the natural process by which we use Unified Field Physics to trigger our CHRISTED Selves. Before we finish we must first establish the link to the Amethyst Awakening, the process of activation and sheathing of the higher Chakras. To complete the session we will now work with 8th & 11th Dimensional Energies to open DORADIC PHASE 2 & 3 CURRENT and activate TEURIC PHASE 2 CURRENT ..... THIS IS CALLED ACTIVATING THE RA CENTER in the THYROID - and ANCHORING THE RAINBOW BRIDGE. 1. 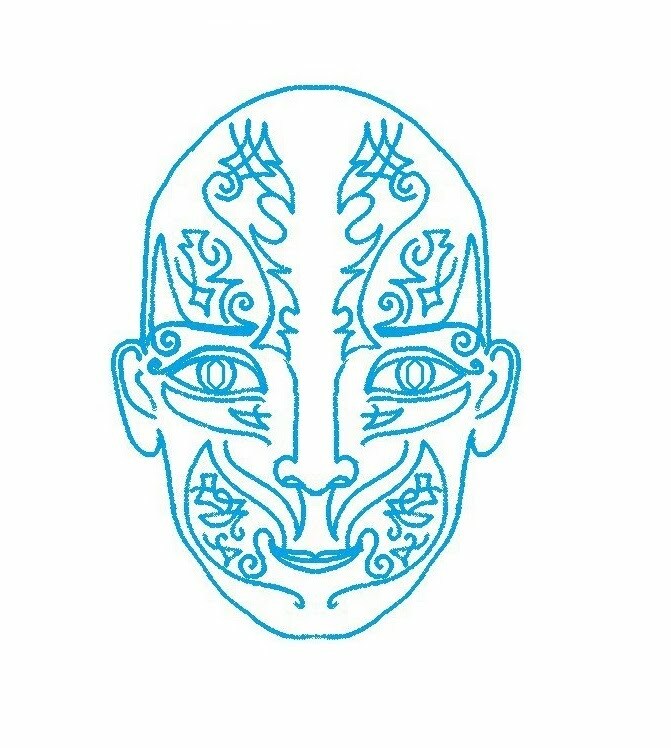 Begin by moving your attention to the area of your 3rd EYE, and focus just inside your fore-head ... a little above and behind your eye brows ..... Breathe easy. 2. Now, visualize, or imagine, a DARK SILVER DOT in the position you are focused on ... in the area of your 3rd EYE .... Take a little time. 3. INHALE and move the DARK SILVER DOT into the Pineal Gland in the center of your head and then straight up through the CROWN CHAKRA until the DARK SILVER DOT sits on the top of your skull. 5. On the next EXHALE push the SILVER STARBURST down the central vertical channel, all the way to the tip of the tail bone ... EXPANDING the SILVER STARBURST FULLY into the 1st Cell. From the Crown Chakra the GOLD-SILVER-CURRENT continues upward out of the top of your head ... up through the 10th Chakra 6" above your head ... the 11th Chakra 18" above your head ... and finally the 14th Chakra 36" above your head. 7. Once the GOLD-SILVER-CURRENT reaches the 14th Chakra it returns to the 1st Chakra ... the flow of the current creates a GOLD-SILVER SHEATH throughout your central vertical channel. 9. Now... INHALE and move the GOLD-SILVER-BALL up to the 1st HARA CENTER ... 2" BELOW the NAVEL (the 9th SILVER STAR SIGNET SEAL or TAN TIEN) ... EXHALE GENTLY allowing the BALL to EXPAND. 10. On the NEXT INHALE move the GOLD-SILVER-BALL up to the SOLAR PLEXUS and EXHALE GENTLY. 11. INHALE and move the GOLD-SILVER-BALL up to the HEART CENTER... EXHALE GENTLY... ... INHALE ... drawing more GOLD-SILVER CURRENT into the BALL and THEN EXHALE FORCEFULLY pushing cords of GOLD-SILVER-CURRENT down each arm and into the PALMS... bring your fingertips together and feel the fuzzy buzz of TEURIC PHASE 3 CURRENT. You have now activated TEURIC PHASE 3 CURRENT in your palms and you are now able to run CURRENT from D4 thru' D8 to transmit to the THYROID GLAND ... to activate and anchor the Rainbow Bridge in others. 1. Preparation: Activate Eckasha Maharic Seal and K-RRT Activation Sequence Parts A-E listed above, if you have not already done so. 2. This technique works to bring in a burst of the Khundaray, Eckatic Blue frequency ... that sets the Amethyst Awakening in motion. 3. Place your attention at the center of your brain, inside your pineal gland. 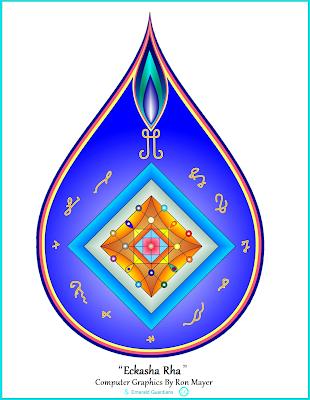 Imaging that you see there a Pale Violet Spark of Light (this is the bottom of the Seal of your 7th Crown Chakra). Imagine that you are going to move this Pale Violet Spark of Light straight up into your 10th Chakra 6" above your head ... imagine that the 10th Chakra is a disc of Light, Blue/Black - Sapphire. 6. Now, move your awareness to the Pale Silver Skin all round your body / etheric body ... and be aware too of the Main Vertical Current that you brought the Pale Silver cord through ... and at the same time, on each coming INHALE, bring up the Pale Silver-Violet-Sapphire energy, simultaneously, from your Maharic Shield to infuse the Pale Silver Skin all round you. Take a few breaths to do this and watch as the 3 colors flicker through you - when they reach the Heart Chakra feel them expand out ... and allow them to travel on up, all the way to the 14th Chakra ... expanding throughout every Chakra as the Pale Silver-Violet-Sapphire energy flows up, through and all around you... See each Chakra respond with a spiraling burst of Silver-Violet-Sapphire, backward and forward through both sides of the Chakras until they all shift... try to feel the process as it awakens all the cell's of your body. The brain cells and brain patterns begin to respond, activating the Fire Letters, setting the grid of frequencies necessary to activate the Fire Codes 7, 10, and 12 in the DNA Template. Your own D-12 Christos Avatar identity level will slowly release the Khundaray Activation Frequencies through which the Amethyst Awakening progressively unfolds in the DNA Template and body. This process can be naturally and safely accelerated by receiving a Level-3 MC Regent Ordination transmission from a qualified Indigo Child / Eieyani Level-4 through Level-6 MC Ordinate Consummate, Elder Consummate or Eckar that carries the necessary Amethyst Awakening Khundaray Activating Frequencies in their Eieyani DNA Templates. Veca Codes are very specific SYMBOL CODES, each possessing corresponding Sound Tones or Arieas. Working with these codes assists us in opening the Maharic Shield to the Rishiac Shield (the level of our being at the 5th Density or Harmonic Universe Level: the Primal Light Fields), as well as balancing more smoothly the higher frequencies now anchoring on earth. Veca Code technologies facilitate the healing of the subconscious mind, helping us to intercept incoming distortions or miasms and also to begin to clear the backlog of these distortions in our own anatomy. 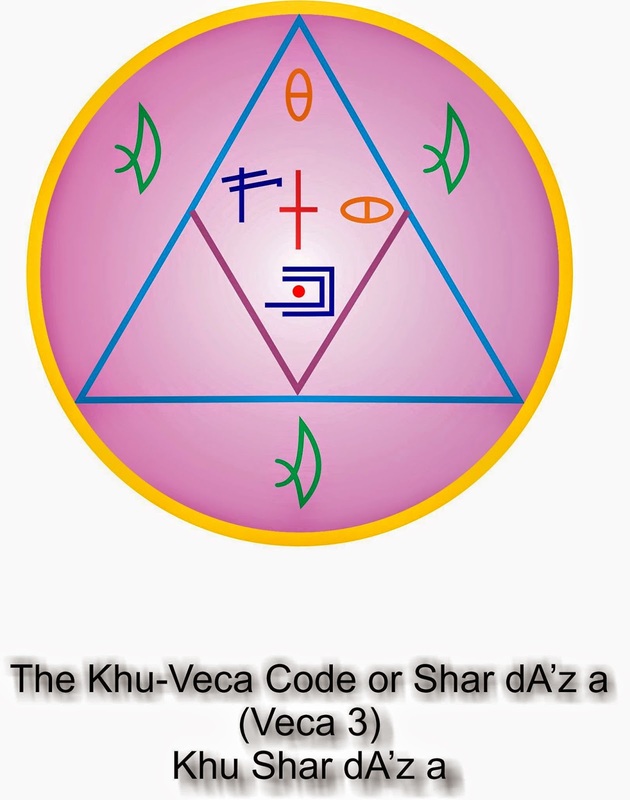 Induction or embedding of the High Veca Codes into the 15 Dimensional Anatomy involves placing individual Symbol Codes (mathematical programmes) over the regions of the physical body that correspond to the appropriate aspects of the Kathara Grid. The body placement of each code corresponds directly to its place in the Shields. Once the Symbol is in place, the breath is used to direct D12 Maharata Current through each symbol code and body region. Use of the Maharata Current carrier wave (via induction of the Maharic Seal/Shield) is required to induce the code's mathematical programme into the various levels of the Kathara Grid, where the programme will then naturally transfer into the corresponding areas of the Level-1 Kathara 12-Tree Grid core template. This induction is amplified by the use of optical-pineal induction whereby the eyes are focused for a time upon the Image of the symbol code. The mathematical Veca Code programme enters the Pineal Seals through the Optical Currents and 6th Chakra, and then travels for embedding/ induction through the Central Vertical Current into the body regions to which the code corresponds. In the beginning stages of working with optical-pineal induction it is recommended to use a 'cross-eyed' focus in whatever way this feels most comfortable, either relaxed or more concentrated, to give a double, 'overlapping' image of the symbol code. This facilitates the realignment of distortions in the optical region (see CCR and SYCA workshops for further information on brain structure). Once the High Veca and Eckasha Code Sequences are embedded/ induced into the Level 1 Kathara Grid, they are then activated in the Kathara Grid by TONING the corresponding Veca Code Ariea sequence. The longer the toning is sustained the greater will be the quantity and quality of Veca Code Activation. We are reflecting back to our Shields what is in them, and that reflection stimulates the vibration of the same pattern that is already in the Shields. When it vibrates, it begins to bring in the frequencies to which it is keyed. The Radial Body is our pre-sound, pre-light body, the radiating fields of energy and life force around and within us. It takes the primary form of a tissue capsule around the auric field and also smaller energy capsules around all of the atoms of the body. The Radial Body is not just the tissue capsule; it is also what is contained inside it. If there are distortions in the Radial Body, it is like projecting a film onto a damaged screen, thus the condition of the Radial Body, our manifestation arena, has a direct bearing on the quality of the life we experience as manifest around us. The Holographic Template or Thought-Energy Blueprint is the original thought-form construct upon which our universal structure is perpetually re-created. 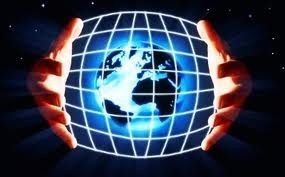 The Radial Body is the living theatre within which the consciousness held in our DNA and entire energetic structure can be experienced as a 3D hologram, the holographic refraction lens that allows the hologram to move through us. Body locks which hold the levels of the Radial Body separate from each other. This allows the levels of the Radial Body to blend together, facilitating the full activation of the whole Flame Body. Once activated, the Veca Code programmes travel upward through the stages of the Transduction Manifestation sequence, the process by which Source steps into manifestation in every moment, temporarily restoring the Christiac Merkaba Field, Radial Body and Memory Matrix Divine Blueprint. 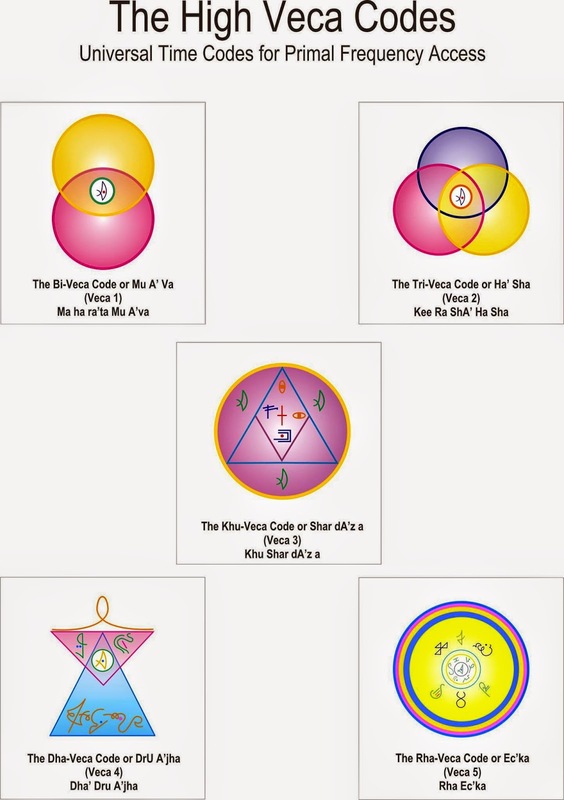 Frequent and continued use of these and other KS codes will progressively build Critical Mass of the Divine Blueprint programme simultaneously within ALL levels of the 15 Dimensional anatomy, eventually culminating in expedited full restoration of the D 12 Maharic Shield blueprint within the Body-Mind-Spirit system, via the Radial Body Trion (Light)- Meajhe (Sound) Field. To receive the full benefits of working with Veca Code technologies, the Emerald and Amethyst Awakenings Sequence should be fully run at least once in the life time beforehand. Exercise - 1: Once per day, do Eckasha Maharic Seal then practice each set of Veca-tones separately while fixating visual focus on corresponding Veca-Code symbol; spend at least three or four minutes gazing at each symbol (optical-pineal induction) while toning corresponding tones (core template vibrational induction). With practice this will progressively expand the personal consciousness while activating the personal Christos-Trion-Meajhe Field of your Christos-Rishiac-Ascended Master identity levels within the cellular structure. Exercise - 2: Once per week, directly after completing Exercise - 1, place all Veca-Code symbols over designated body areas, activate Maharic Shield, breathe D-12 Maharata Current through each symbol and body area to induce code, using the Bi-Tri-Khu-Dha-Ra Sequence, then begin toning the corresponding tones following the Bi-Tri-Khu-Dha-Ra Sequence. Memorize the tone sequence of the 5 High - Veca Codes as if it were a "song" and relax, close eyes and sing/tone this "song" (Psonn) for 5 to 10 minutes. The longer you tone, the more frequency power you build within the body and the stronger your link will be to the Universal Christos - Trion Meajhe Field. This exercise can also be used with groups, either singularly to create and amplify Christos - Trion - Meajhe Field links or just prior to beginning RRT work. Frequent and consistent use of these two exercises will progressively develop the spin-rate capacity of the personal Christos Merkaba Field, while expanding higher consciousness within the body and progressively enhancing the health, immunity and integrity of the Mind-Body-Spirit system. 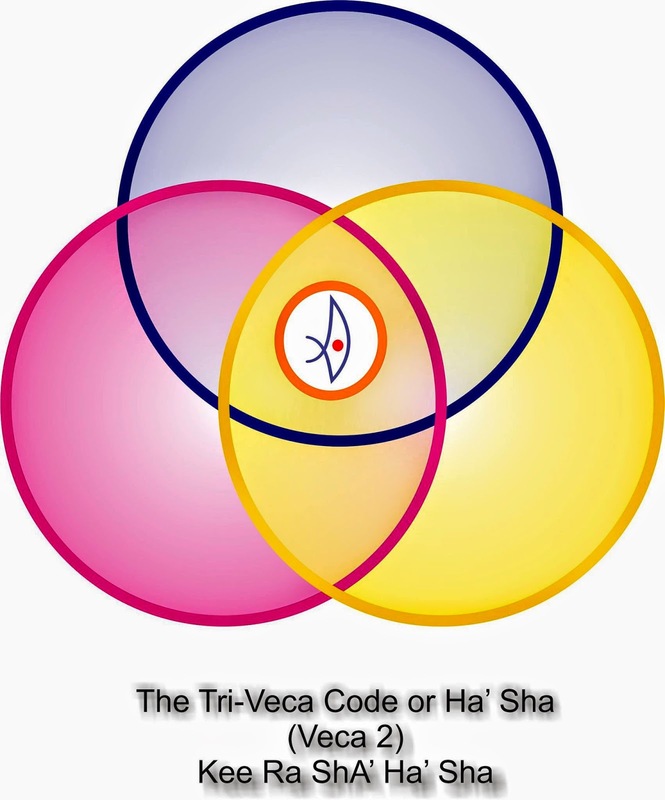 Veca Codes open the Radial Body Locks between the Veca Quadrant and the Ecka Core of the Ecka-Veca Body, allowing passage of Heliotalic Currents into the Manifest Density Body. desktop and double click the file to play.